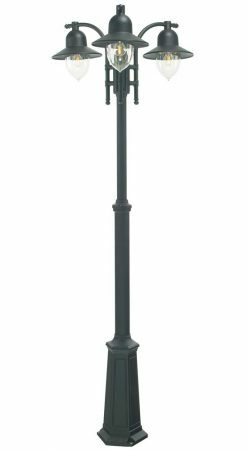 This Norlys Como 3 lantern outdoor lamp post in black finish is rated IP54 and manufactured from die-cast aluminium, with impact resistant light tint polycarbonate shades and supplied with a 15 year structural guarantee. 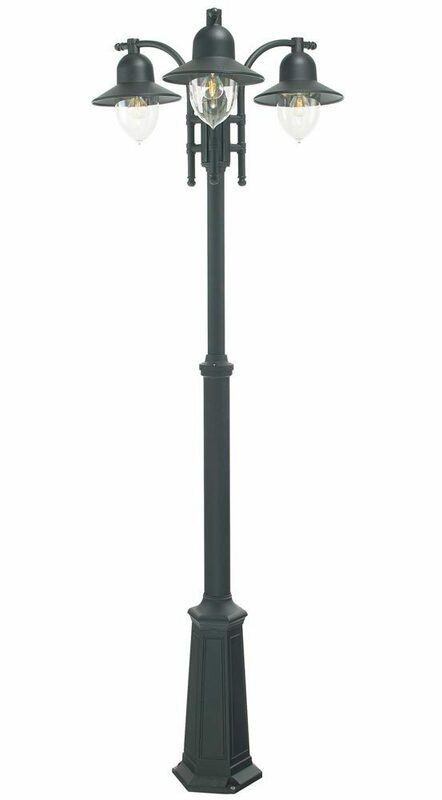 A traditional lamp post design, with panelled hexagonal base, adjustable height stem and slender curving arms supporting three hanging lantern, with domed roof, brimmed shade and lightly tinted pill shade. Ideal for outside any home to illuminate a driveway, footpaths or welcome visitors after dark. Exterior fittings must have an IP (Ingress Protection) rating which indicates the fittings ability to prevent solids and liquids penetrating the enclosure. The higher the number, the greater the protection. The minimum rating for an outside light exposed to the weather is IP23. 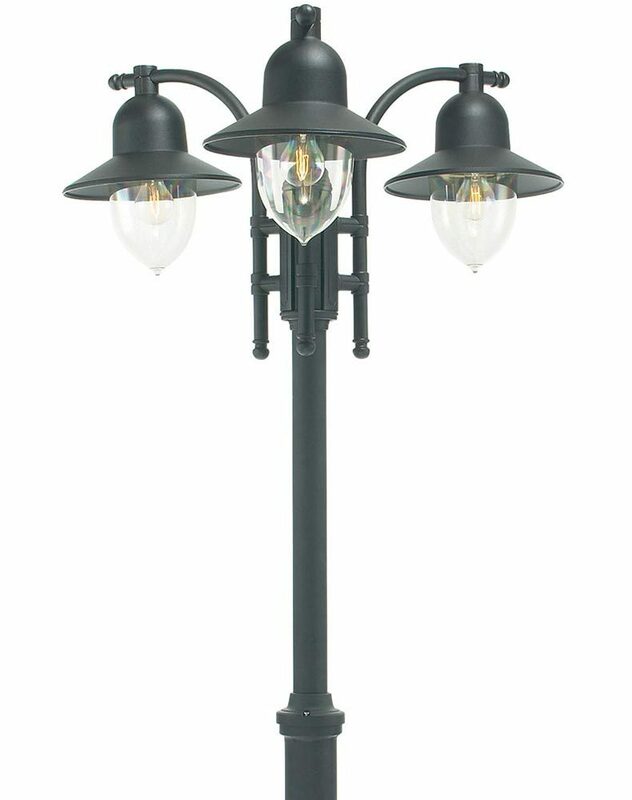 This black three-head outdoor lamp post is rated IP54. There are matching fittings available in the black finish Como lighting range, please see below. This exterior light is supplied by Elstead Lighting and manufactured by Norlys, a Scandinavian company with 50 years experience in the design and manufacture of exterior lighting designed to withstand tough climatic conditions, such as the Como 3 lantern outdoor lamp post in black finish and rated IP54 you see here.